The world is currently undergoing profound changes and facing growing uncertainty. 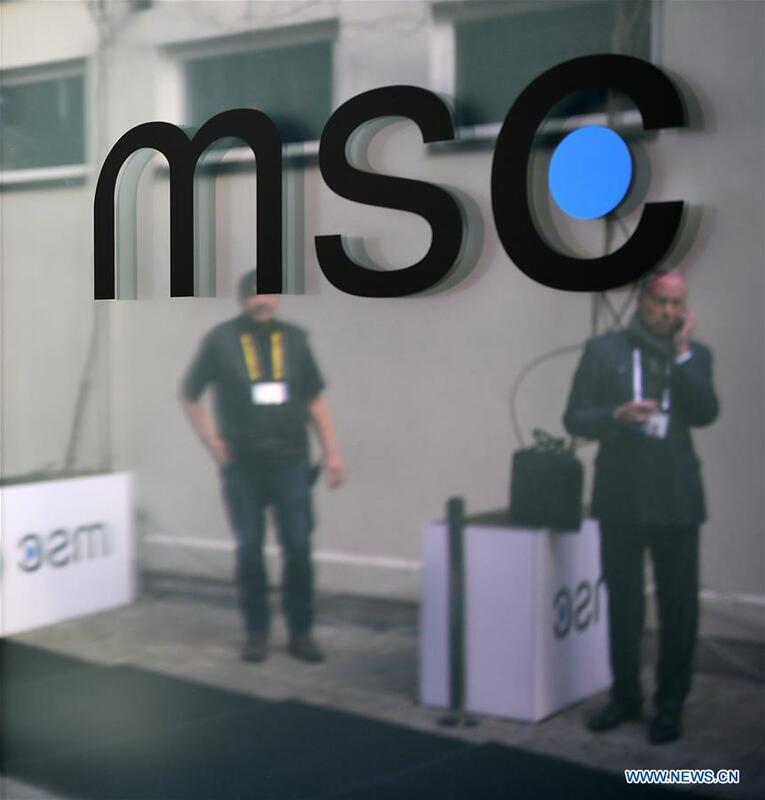 The Munich Security Conference (MSC) is one esteemed global forum where these challenges are discussed. Although its inception dates back to the height of the Cold War in 1963, the MSC remains a critical platform for the exchange of views among politicians and diplomats. This year's MSC is perhaps the most crucial of this decade, according to its chairman, Wolfgang Ischinger. China was represented at this year's forum by Yang Jiechi, a member of the Political Bureau of the Communist Party of China Central Committee (CPCCC). This marks the third time that Yang attended the MSC. As the world endeavors to learn more about China, the country embraced this opportunity to analyze its priorities and to answer questions on some pressing issues. In that regard, one of China's advantages is its reliance on consistent positions in a period during which dilemmas are continually being raised between unilateralism and multilateralism, openness and isolation, and dialogue and confrontation. To start with, China supports multilateralism. Being a permanent member of the UN Security Council, the country believes that international cooperation is a sine qua non parameter for dealing with world affairs. In his speech at the Conference, Yang focused on Beijing's role as a "promoter of world peace, contributor to global development and upholder of international order." These three characteristics reflect its general thinking. Beijing is not interested in starting a conflict, but will be prepared to fight one if it considers its national interest threatened. It acknowledges its obligation to boost prosperity across the globe, for example via the Belt and Road Initiative, because – in its view – this is the only way a community with a shared future might be created. And it advocates stability without renouncing the idea that adjustments to world governance are necessary to mirror the impressive development of emerging countries. As opposed to Western theories of international relations, China proposes a "new type" to be based on mutual respect. The fundamental difference is that the latter does not encourage other states to replicate its political and economic model, whereas the West regularly forces others to embrace its own. 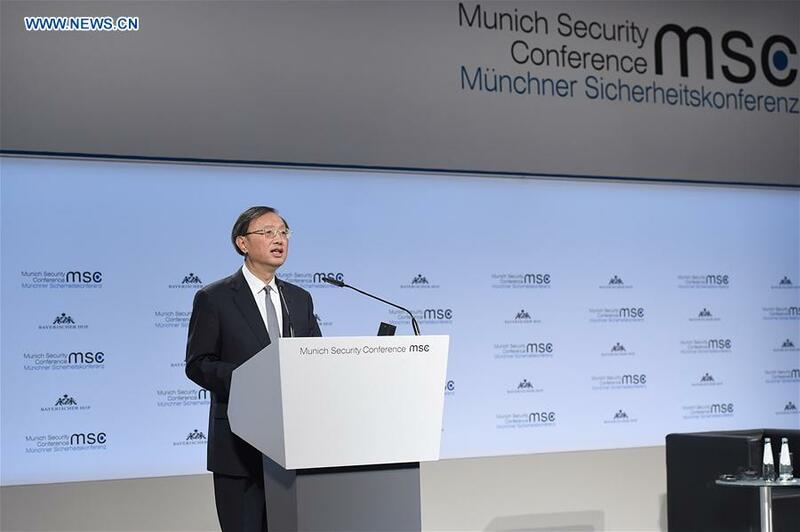 Speaking at the Munich forum, Yang elaborated on the "new type" of international relations, placing particular emphasis on the principles of sovereign equality, win-win collaboration, international law and dialogue. At the same time, he rejected concepts such as hegemony and power politics and criticized the logic of double standards. Of course, this "new type" of relations does not mean that China is not proud of its governance system and of producing internationally-recognized results. On the occasion of MSC 2019, for instance, Ischinger acknowledged its state capitalism has successfully lifted large parts of the Chinese population out of poverty and into moderate prosperity. As far as specific countries are concerned, Yang reiterated China's commitment to working towards stability with the U.S. The current momentum seems promising indeed. Despite the unpredictability of President Trump, the two sides are making steps to bridge some of their differences. The recent meeting between Chinese and U.S. trade representatives in Beijing is indicative of progress and the mutual intention to find a win-win agreement. Yang also talked, inter alia, about the common will of Beijing and Moscow to push their partnership to new heights, as well as about China's support of European integration. Both priorities are important parameters for Chinese foreign policy, but are often overlooked in the West. Western critics reveal serious disagreements between Beijing and Moscow and believe the alleged purpose of the Chinese administration is to divide Europe. Against this backdrop, Yang's commentary was enlightening. Moreover, he devoted part of his speech to China's support for regional integration on the grounds of globalization, free trade, openness and inclusiveness, with the enlargement of the Regional Comprehensive Economic Partnership (RCEP) serving as a key example. On the whole, Yang Jiechi's speech at the 2019 MSC articulated that the more China grows, the more demand increases for it to be an effective international presence. The country responds to those demands by acting responsibly in order to better address global challenges – such as the migration crisis and terrorism – in collaboration with its partners. Building a robust economy, developing its capabilities, improving relations with other countries and counting on the de-escalation of tensions in several parts of the world, China will continue to act in accordance with these principles in the future.